Did you know the developers who make the Cities games are called Colossal Order? That’s what these games are about: bringing some semblance of design to a sprawling set of systems. Maxis’ SimCity reboot didn’t exactly go off without a honking tree or two, which gives the Finnish studio another couple of years to establish the Cities series as the alternate mayoral simulator. Cities: Skylines is their latest attempt at that. 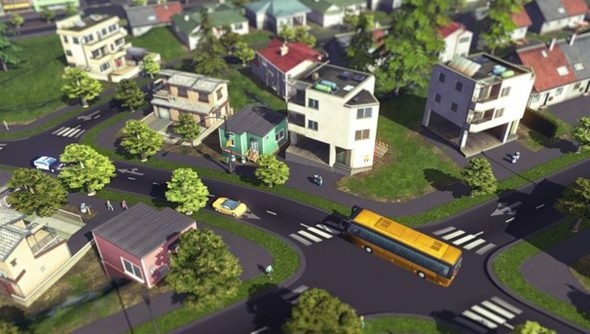 “Cities: Skylines offers sprawling landscapes and maps with endless sandbox gameplay and new ways to expand your city,” said Colossal Order, as if answering players’ problems with SimCity’s map size. Beyond gridding out your settlement, however, there’s a focus on governance in Skylines. Districts will develop during the course of play, and players can set policies to steer their growth. And because every city builder wants a bit of Transport Tycoon on the side, Colossal Order will provide the tools to build comprehensive bus and metro networks. It looks like Colossal Order have even mimicked Maxis’ love for depth of field effects. Could this be the city builder in your life, do you think? Or will four hours with SimCity see you forgive its flaws?